It’s said that the average agent manually dialing can make about 30 calls in an hour, and can increase that by up to 3 times with an autodialer. Therefore, an autodialer increases REACH which is the most important thing about lead generation just before conversion. In this guide to the best auto dialer for real estate agents, you’ll find the basics, how and why they are used, real life agent comparisons and opinions, and a list of products. You’ll notice quotes from actual agents. These were collected from a Facebook group conversation. Although no names are shared, they are actual opinions from people that have used the product. If you are considering a CRM with text campaigns, check out my product Auto Pilot ISA with the Turbo Dialer integration. We also have IDX real estate websites that incorporate these campaigns and software. The most popular products among real estate agents have been Mojo, RedX, and Vulcan7 although many more are entering the market. Power dialers generally work on any phone or computer with an Internet connection. Power dialers take the hassle out of hand-dialing numbers – and gets you connected to prospects interested in the services that you have to offer a heck of a lot faster. With a dialer, you’re able to avoid human error such as misdialing. The immense amount of time you save as a real estate agent, you can then use to do more important tasks such as speaking live with a prospect interested in speaking with you. With automation, you’re also able to avoid the annoyance of answering machines. When an automatic dialing service contacts your prospects, you’re able to take notes during the call, which are then digitally transferred to your personalized database. If the system detects an answering machine, your personalized pre-recorded message is left for the prospect as the system immediately moves on to the next prospect. As your message is left on the answering machine, the system is already in the process of initiating contact with the next prospect on the list. To get technical, an auto dialer is any type of software or electronic device with capabilities to dial prospect telephone numbers automatically. When a caller answers on the other end of the line, one of two scenarios takes place: the system will connect the call between the prospect and the real estate agent automatically, or a pre-recorded message gives the prospect the opportunity to either accept the call or decline the call. If the system reaches an answering machine, it leaves the real estate agent’s pre-recorded message. The automatic message left for the real estate agent takes the time out of leaving a live message. Answering machines are time killers for today’s busy real estate agents. Once the message has been left, the prospect is then given the opportunity to either return the call of the agent, or to not return the call. In either case, the agent’s valuable time has not been wasted. I used ArchAgent with Cole. Worked very well. I stopped using it because I don’t like calling strangers. There are four types of auto dialers and they include a smart auto dialer, a semi-automatic dialer, a telemarketing dialer, and a natural predictive dialer. A smart auto dialing system features capabilities such as sending personalized messages. It can also collect feedback from touch tone or speech. With this type of system, a specialized speech engine is included with the system which helps the user to convert text to speech. It also has intelligence that enables it to recognize speech instantly over any telephone line. Message templates are used when personalizing messages. A semi-automatic dialing system is an auto dialer controlled by a human. Every action performed by the system, such as leaving messages, playing an automated recording, and dialing prospect telephone numbers are all performed by the real estate agent. I Used Vulcan7. But I only had two markets so I stopped. Not enough Expireds. Once more markets open up again, I’d get it. GET IT IF YOU CAN. Now I hear they have email addresses of home owners. Wished they had it when I was using it. And these actions are performable with just the simple touch of one key. While the agent is initiating all of the contact and doing the work, it’s still a time-saver for the agent. This is a tool commonly utilized by real estate agents to increase productivity, and overall efficiency. A telemarketing dialing system is a dialer of enterprise grade level. These types of dialing systems must provide users with two primary key features. An enterprise grade dialing system has the capability to make large-scale numbers of calls. It’s also designed to allow for system integration through an API, or application programming interface. Most of these types of systems for commercial use tend to include computer networking technology. More advanced enterprise dialing systems are known as distributed dialers. These are independent dialers with remote accessibility. They are controlled by a call dispatching program and the Internet links them together. In this day-and-age, with optimization, some systems are able to sustain as many as 2,000 calls on just one server. A natural predictive dialing system includes the same benefits as the other dialing systems mentioned with the additional benefit of call progress analysis, or CPA. This perk further ensures that the agent connects with a hot prospect versus a cold prospect. I hear Vulcan 7 has the best leads, and Mojo has the bestdialer with the 3-way dialer. So many people use both. The call has been screened in a sense. The only downfall to this type of dialer is that it has a patent. Natural predictive dialing is only available through one vendor. It cannot run on any open source platform due to the legal constraints of intellectual property protection. Any laptop or desktop PC can be used as an automatic dialer through the use of a modem or a telephony board. Available software programs enable users attempting to reach prospects to set up their auto dialing system over their landline phones, while other users prefer to go the cheaper route and use their modem through the use of VoIP or the Internet itself. The benefits of using a telephone line include touch tone detection and call transfers. One of the benefits of using your modem to auto dial prospects is that this is a cost-effective solution. It’s cheaper to use a voice modem, especially considering that many of today’s PCs have them pre-installed. Modern modem-based voice technology includes many of the same features as a telephony board such as touch tones, CPA, call transfers, answering machine detection, and the ability to leave a pre-recorded message on an answering machine. However, on a PC with limited voice modem features, the telephony board far supersedes the modem with many more robust features. With many of today’s call centers making the switch to VoIP to save money, the centers’ auto dialers that rely on modems can still make hundreds of calls simultaneously. VoIP makes the transfer of calls a breeze. I’m of the opinion that you leave a message… you can even have a pre-recorded message set-up so that when you hear an answer machine or when it rolls over to voicemail, you can decide to leave a pre-recorded message and keep dialing. One of the many perks of an auto dialing system is in its answering machine detection capabilities. This is a huge time saver for agents calling prospects. This key feature enables the system to detect the difference between the voices of a live human and a pre-recorded human – an answering machine message. While this result is not 100 percent achievable, it is highly accurate. 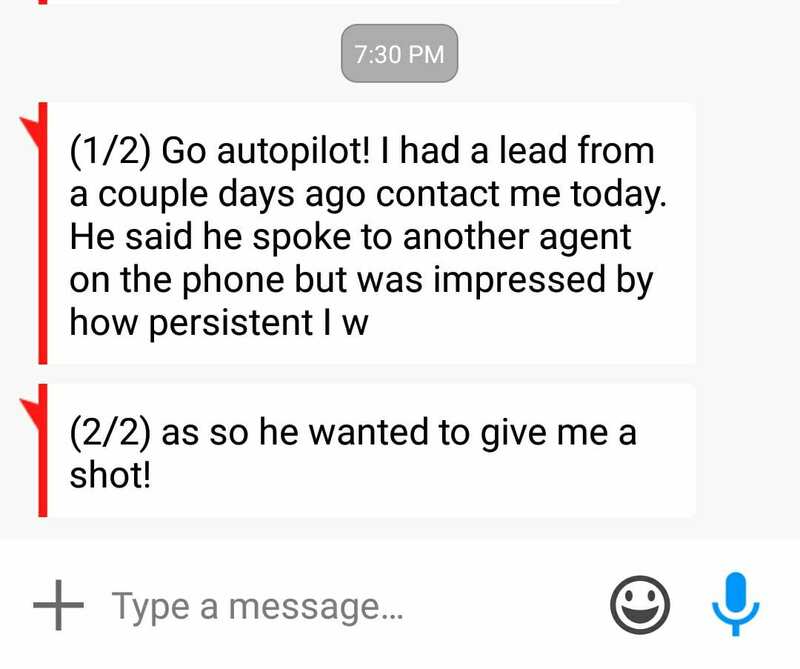 Another pro is through CPA, call progress analysis, when the call is analyzed through a robotic voice giving the live prospect the option of connecting with the agent or dropping the call. When the call is dropped, the system then goes on to another prospect, and the agent’s time is not wasted. When the call is accepted by the prospect, the agent is then connected with a hot prospect interested in hearing and learning about his or her services. This increases the potential chance for future profit. Additionally, the entire process is speedy and saves time. This equals efficiency on all levels. This efficiency also creates organization with all of the agent’s calls. The biggest pro of all would have to be hands down the fact that the agent is connected with the right target audience, leading to calls that are productive versus calls that are unproductive time wasters. A con is the fact that this process is not always 100% accurate and some callers get annoyed with an auto dialing system. Some people get the triple dialer and get a service like telelisting.com and/or www.coledirectory.com and import the numbers there into the mojo dialer. 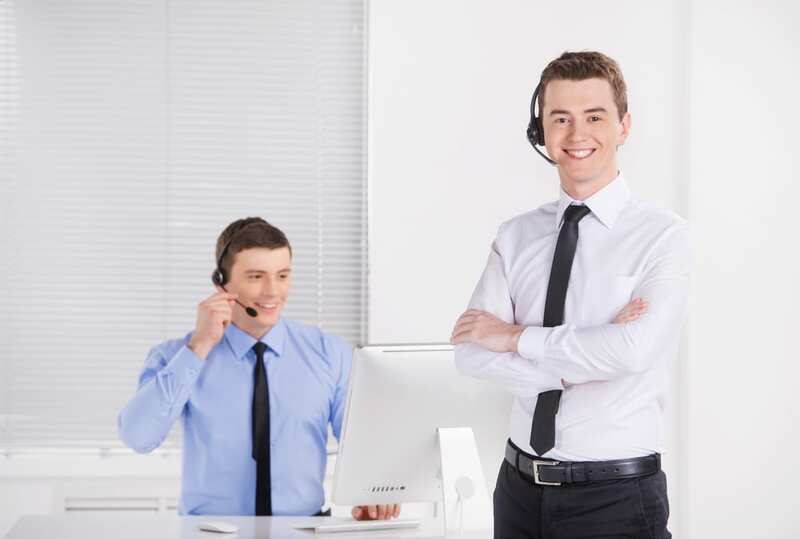 When it comes to customer relationship management, or CRM, an auto dialer helps improve customer relations by making the “right” connections with callers. This system helps to convert the leads established by the agent into customers. Additionally, CRM is further enhanced when an effective dialing system is used in combination with robust CRM software. If a CRM strategy is not implemented with an auto dialing system, the company will likely fall flat on its face. Instead of technology taking the lead, the CRM strategy of the company should take the lead driving the technological uses and advantages of the auto dialer. An auto dialing system is meant to enhance customer relations and empower the agent, but is not meant to completely replace human connections. RedX for the customer service, the accurate data that I can manipulate and download, the clear marking of all ‘agent owned’ properties and on and on. And the importing of MLS comments! My favorite feature right now. In order to remain in compliance with the United States’ Do Not Call List, businesses that implement this type of system must adhere to the laws pertaining to the use of a dialer -laws that include the complete maintenance of call records. These records not only help the business with prospect campaigns by keeping accurate records of dropped call percentages, but also helps the business avoid calling any telephone numbers listed on any of the country’s Do Not Call Lists. These lists are available federally, at the state level, and many companies have their own individual lists as well. Adherence to the country’s Do Not Call List law is vital in order to remain in legal operational use of the dialing system. Believe it or not, some organizations are actually exempt from some of these compliance laws. However, most must comply and some must show evidence of this compliance with records. This protection to consumers is due to fraudsters and scammers who have taken advantage of an automatic dialing system’s benefits to the honest business owner. A predictive dialer, browser based software that allows you to protect your company’s private data. Data is kept hidden behind your computer’s firewall. Because it is a browser based software, you’re able to access your campaigns from anywhere on your LAN. Features in-house development and support, both manual dialing modes and quick connect dialing modes, and superior customer service. It’s also completely customizable with easy integration into your company’s CRM software. This is a customer driven auto dialing software that provides you with flexibility. SpitFire is available at a fixed rate and is a cost effective dialer with unlimited calling. To learn more about SpitFire, click here or call 1-800-704-5022 to request an online demo. An app that’s ideal for any professional which allows you to increase sales by increasing contact rates. The PowerDialer features one-click dialing, inbound call routing, advanced list prioritization, email, pre-recorded voice messaging and many more great features. Detailed analytical reports following each unique call enables you to visualize what worked versus what didn’t work with prospects. With the app’s Seek and Neural sort feature, you’re able to filter prospects, ensuring that you only connect with the best prospects. Filters such as the prospect’s purchasing behavior and more help you to increase your local presence. PowerDialer is available through a Free Trial offer, so you get to try it out before paying for anything. Visit insidesales.com to learn more about the PowerDialer and to request pricing, or give them a call at 1-877-207-9422. Just Vulcan 7 for expired and FSBOs auto dialing. Then you can purchase Cole resources add on at a yearly expense for circle prospecting. The Five9 Predictive Dialer is a web based, hosted software and available to any business, regardless of size. Primary objectives are to allow you to connect with leads and improve your company’s contact ratios. Enables your call center agents to close more sales with outbound calls and increases productivity. Features Dropped Call Settings to help companies keep track of the percentage of abandoned calls agents make. Other features include call recording, call monitoring, call results, callback scheduling, call transfer, and campaign specific caller ID and more. It is easy to set-up and has 24/7 customer support. Try it out for free or contact Five9 to learn more. If you’d rather give them a call, the company’s telephone number is 1-800-553-8159. Mojo triple line w neighborhood lookup. Great platform. Features unlimited outbound minutes and is available at just $125 per month, per user. This is a web based, hosted auto dialer with predictive blended dialing, inbound dialing, and outbound dialing. Primary objective is to connect agents with live calls. The dialer handles answering machines and disconnected calls for agents. Other features of this software include call monitoring, call recording, callback scheduling, call transfer, call results, campaign specific caller ID, and more. Support is available during business hours and to request your free demo, visit pimsware.com. Vulcan 7 has its own dialer. We’ve used it for about a year after having used redx forever. We spent a lot of time comparing Vulcan 7 and Mojo. Vulcan 7 is really good at explaining the differences…and I spoke with several agents using the two. We have been really pleased with the quality of numbers and with the system..and supposedly they have very few spots per territory. As a web based auto dialer, AireContact features a multi-blended queue, integrating all of the agent’s outbound calls, web call backs, chats, emails, fax, and social feeds. This software enhances an agent’s ability to interact with customers on multiple communication channels which helps to improve CRM. Social media feeds are easily accessible to call center agents. Other features include high-capacity calling, the ability to upload prospects from csv files or excel, real-time campaign performance monitoring, and more. Software support is available both online and 24/7. Click here to learn more or to request a free demo. A web based dialer with online support available during business hours. Features call monitoring, call transfer, call recording, call results, contact management, lead capture, and much more. This software is a cost effective option that accelerates agent productivity with its many comprehensive solutions. Completely customizable and can be used by any industry. We used to use red x and it wasn’t that good. We love Vulcan7 with coles directory for just listed just sold and it is a dialer as well. This web based dialer is available through a free trial and offers 24/7 support. With dialing solutions that can be used for any outbound campaign, the Cloud Predictive Dialer includes many great features. Features that allow today’s busy agents to improve productivity and save time. This predictive dialer is busy getting in touch with other leads while the agent is on the line closing a call. Some of the features offered include contact management, lead capture, call monitoring, call recording, lead management, call transfer, and many more. To learn about pricing and to request your free trial, visit 3CLogic today. Web based software with an available free trial for your convenience. Includes 24/7 live support and many great features such as lead capture, call monitoring, call transfer, call recording, callback scheduling, call results, and more. To learn more about this dialer or to request information on pricing, visit inContact today. An award winning virtual call center platform with great features like blended inbound and outbound calling, call recording, chats, email, skills based routing, VoIP/SIP enabled, and more. This is a predictive, web based dialer offering 24/7 live support. Available at just $59 per user with CRM integration and Salesforce CRM included at no additional cost. Visit primero.com to learn more. Mojo is the best dialer hands down and Vulcan 7 is the best for expired info. You sync the 2 so expireds go directly into mojo. I’ve done the research. I tried land voice it’s no good. Won’t go wrong with this set up. A predictive dialer featuring outbound dialing, managed preview dialing, and queued progressive dialing, and a free trial so you can test it out. This is web based software with online support offered during the software company’s business hours. Features include lead management, call results, lead capture, campaign specific caller ID, callback scheduling, call recording, contact management, call monitoring and more. To learn more about this predictive dialer and to request pricing or your free trial, visit ChaseData today. The DialersPro Predictive Dialer offers users with a paperless solution to integrating their company’s CRM and production management with a custom built lead system. A few of its features include task management, caller ID, 5 second wait-time, budget control, built-in VoIP, recordings, real-time statistics of profit and loss, and much more. With a free trial offer, you’re able to test drive this software for free. Visit DialersPro today to request information on pricing, to learn more about the software’s great features and to request your free trial. Vulcan 7 is great for calling expireds as they skip trace and find not just phone numbers but cellphone numbers. It also integrates with a Coles subscription. However, I like Mojo dialer much better. Probably will start using it again as soon as I get my Zendesk set up and running right. A web based hosted dialer at affordable fixed rate pricing. Features unlimited calling to the U.S. and Canada, no contract commitment; at just $139 per month, there is no limited to the number of calls your company makes. Other features include contact management, lead capture, lead management, call transfer, call results, callback scheduling, and more. To learn more about this cost-effective solution to reaching prospects, visit Hosted Dialer today. Automatic dialing that enables your company to increase productivity and for your agents to connect with a live person. This is an easy-to-use and easy to install software, which includes online support during the software company’s business hours and a free trial. Features of the AgentDialer include call monitoring, contact support, call recording, call results, lead capture, call transfer, lead management, callback scheduling, and more. To learn more about this auto dialer, to request information on pricing, or to request your complementary trial, visit Voicent Communications today. For ISA’S you need mojo so you get the 3 dial feature. For your agents, the dialer that comes with Vulcan7 is fine. A web based automatic dialer that works on any PC with an Internet connection or telephone. Features of the ArchAgent dialer include call notes and progress display, multiple calls, automatic lead importing, CRM synchronization, delectable redials, pre-recorded messages, customized scripts and more. At just $99/month calling is unlimited. Other plans include the $59 per month pay as you go plan and the $39 per month pay as you go plan. To learn more about this automatic dialer, call 1-800-882-9006. The Mojo dialer is a web based, hosted dialing system with many great features for realtors. Just a few of the many features include expired property data, reverse look up service, for sale by owner data, just listed and just sold data, features that allow you to Mojo on your iPhone, a schedule planner, notification system, and much more. Dialer packages are available at $89 per user for a single line and $139 for a triple line. The system includes the availability of many optional, additional add-ons. Some add-ons have a free while others are free of charge. The basic monthly service charge is just $10 and set-up is free. To learn more about the Mojo automatic dialer, visit MojoSells or call 1-877-859-6656. The major difference is Mojo is a triple line power dialer which powers through the list.. The reason they use both is Vulcan 7 has better data for Fsbo and expireds.. But Mojo is better for powering through big list like internet buyer leads and circle prospecting and sphere… Both systems do different things.. Hosted auto dialer software that is easy to integrate with any existing phone and helps to improve lead generation. Optionally, you could replace your phone with the dialer software and allow the main phone system to run with VoIP. Streamline all of your outbound campaigns with one system that makes it easy. To inquire about pricing or to learn more, visit CallFire or call 1-877-897-3473. Ballen Brands offers a special BREW of IDX real estate agent websites. They are designed by Lori Ballen, a top real estate agent, digital marketing strategist and SEO who generates leads from the web. Built with an SEO focused strategy, this lead generation system offers a robust IDX, cornerstone content, drag and drop home page featuring reviews, community pages, calls to action, pricing tables, featured listings, top blog posts and more, custom templates for frequently used blog posts and pages, on the dash analytics and more. 702.917.0755. Below, you’ll find questions please have actually asked on the internet and the responses posted to their questions. These are not personally endorsed by us, but rather by the people commenting on the question itself. What dialers will show my cell phone number (not an autodialer designated number) and is not too expensive. How can you call a cell phone if it’s illegal to call a cell on an auto dialer? Tough one. Many suggest “ignore” it, and some interpret the regulations in their own way. The best solution for you is to speak with your broker, understand the law, and make your decision accordingly. I have chosen my dialer, but need phone numbers. Who do you suggest? Which auto dialer is best for Circle Prospecting? Take the hassle out of outbound calls with the use of an auto dialer in your real estate business. Learn the basics, the pros and cons, and get the list!